(Nanowerk News) Together with Helmholtz Zentrum Berlin (HZB), teams from the Universität Regensburg, from the Freie Universität Berlin and from the Ruhr Universität Bochum have jointly set up a unique measurement station at BESSY II: a vector electromagnet consisting of three mutually perpendicular Helmholtz coils which enables setting the local magnetic field at the sample position to any orientation desired. The first measurements of magnetic materials, spin systems, and nanostructured magnetic samples are scheduled for early 2015. 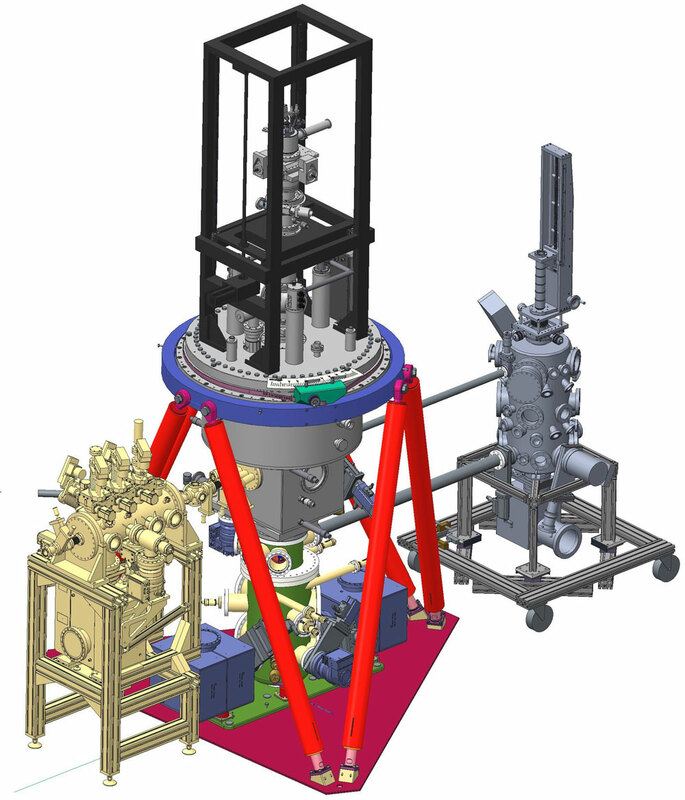 “We have been working on this project for almost six years”, reports HZB physicist Dr. Florin Radu. He is coordinating the project with the three universities. The deposition chamber for the samples was designed at Freie Universität Berlin. Ruhr Universität Bochum built the detector chambers, and Universität Regensburg developed the concepts for synchrotron beam-based ferromagnetic resonance experiments. In the meantime, Radu and his team ensured optimum characteristics of a new beamline for carrying out most sophisticated experiments: “We need an extremely stable beam, but we also want to be able to change the polarisation of the x-rays very rapidly”, he explains. “For that reason, we developed a hexapod vacuum chamber with six moveable legs supporting a mirror. By changing the leg positions slightly, we can change the orientation of the first mirror and thereby the polarisation of the x-ray beam in just seconds – about one hundred times faster than before.” The tests show that this prototype arrangement improves the signal-to-noise ratio by a factor of more than ten. The new experimental station will not only facilitate many different kinds of studies, particularly in the soft X-ray region, but will also permit to carry out completely new studies that require temperatures of 500 Kelvin right down to 1.6 Kelvin and magnetic fields as high as nine tesla. Simultaneously the X-rays can penetrate the individual atoms and excite their outer electrons, enabling magnetic properties of the individual elements to be distinguished.